Restorative and Cosmetic Dentistry including fillings, crowns, bridges, implant restorations, veneers, cleanings and tooth whitening. How would you describe your practice philosophy? We understand people are unique individuals and have differing needs. 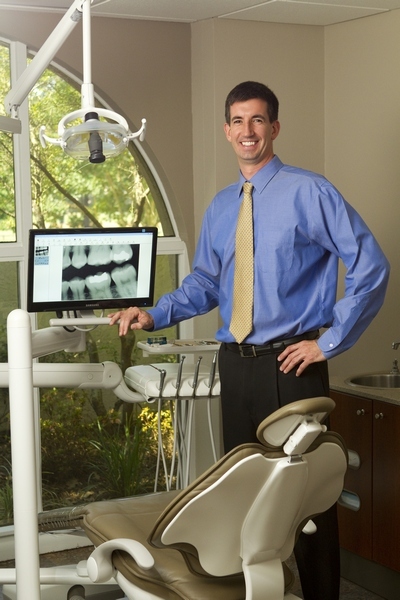 We strive to provide a pleasant patient experience coupled with the highest quality care possible. How do you measure success in your profession? For me, success is measured by a great overall patient experience. Some new patients bring fear and apprehension with them and my goal is to transform that fear into a sense of safety and trust. I want my patients to feel heard, respected, comfortable and confident in their care. Why did you choose Tallahassee as a place to work? Having been raised here, I am very committed to our community. I can’t think of anywhere else I would rather live. Florida State University, Bachelor of Science in Biological Sciences; University of Louisville School of Dentistry, Doctor of Dental Medicine.